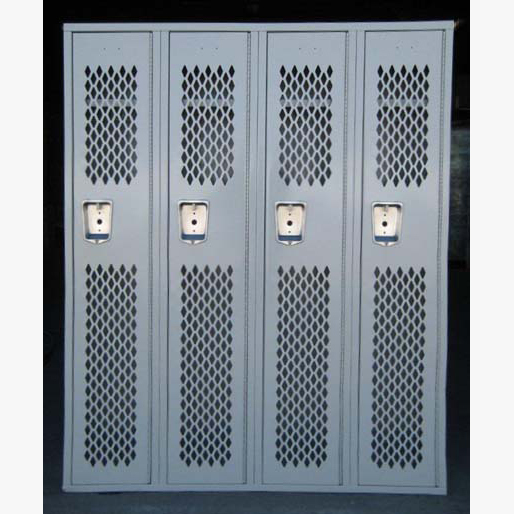 These Single Tier Ventilated Gym Lockers are available on www.buyusedlockers.com where they have a huge selection to choose from if we need additional supplies. 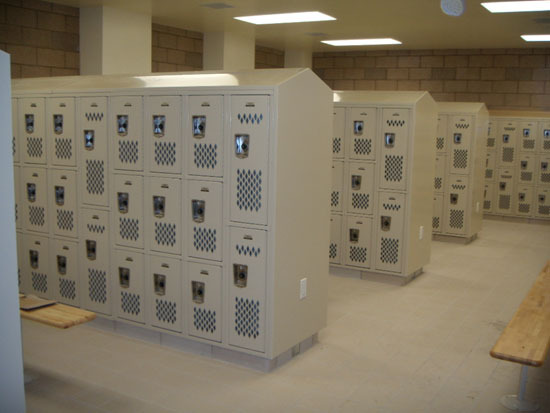 Designed specifically for gyms and athletic facilities, single tier ventilated gym lockers feature square perforations in the door to provide greater ventilation than standard louvers would provide. 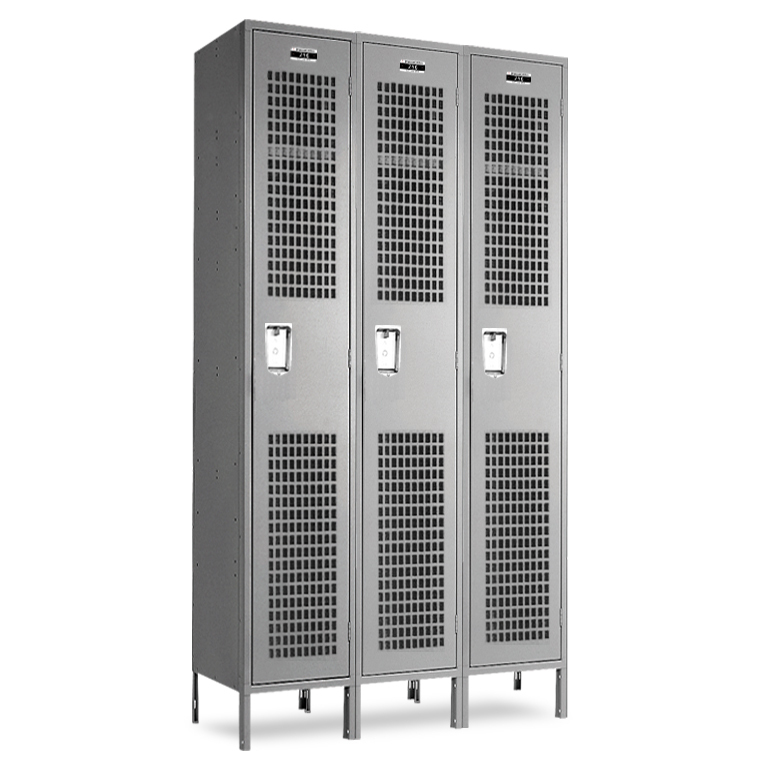 The more ventilation that goes through the locker, the less likely bacteria and mold are to take root, even when clothes or uniforms are occasionally left inside longer than they should be. In the popular single tier style, hooks inside offer full length storage space for uniforms, jerseys, clothes, jackets, and shoes. A hat shelf provides just the right space for hats, helmets, or water bottles. **12" wide x 15" deep x 72" tall IN STOCK in 3 wide or 1 wide and available for quick ship in beige and gray!